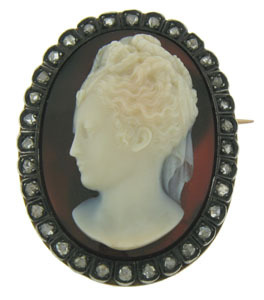 This elegant antique French "Sardonyx"cameo pin is fashioned of 14K yellow gold and set with rose cut diamonds. 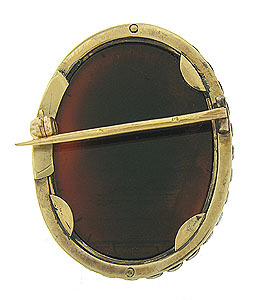 The pin measures 1 1/4" inches in length, 1" wide. Circa: 1910.